At Modern Real Estate, our goal is to make the process of finding the perfect place to live as simplistic as possible. As one of the leading rental agencies in the greater Boston area, we are adept at matching our customers with the apartment that is right for them. Whether you are looking for a student apartment or a place to settle down, we have the right solution for you. 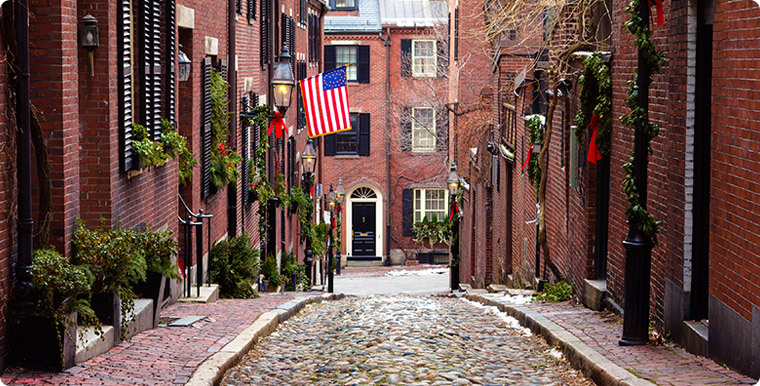 Modern Real Estate Inc. was established in 2003 by hard working and motivated friends who wanted to bridge the gap in quality rentals available in Boston. Now we have grown to be one of the most outstanding apartment rental agencies in the area. We currently help more than 20 agents to meet and exceed their real estate goals while maintaining an active property database of over 60,000 apartment listings. With more than 30 years of combined experience, we have the skill and the proven results to help you in your relocation efforts. 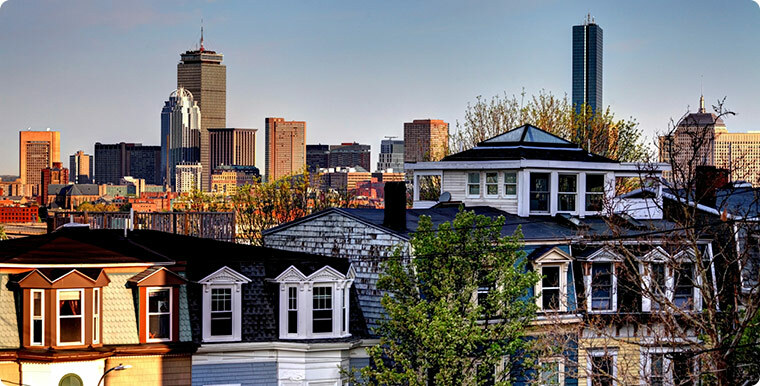 Our apartment listings feature properties that range from one to eight bedrooms and are located in neighborhoods throughout Boston. 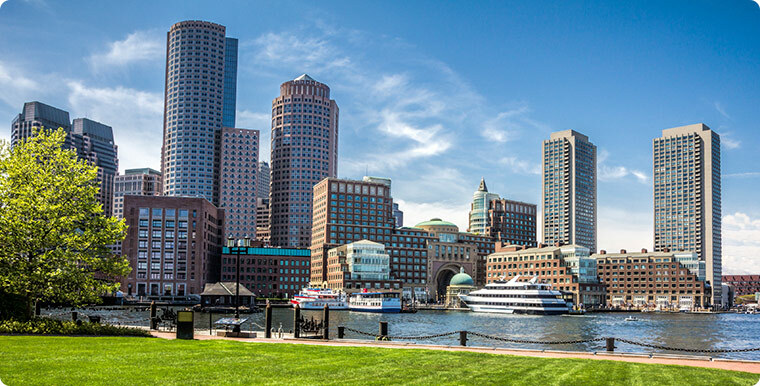 In addition, Modern Real Estate can assist you with buying and selling as well as property management and the sale and acquisition of luxury property in the greater Boston area. 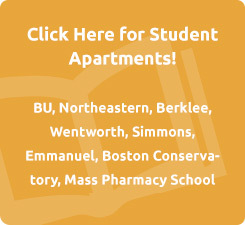 Contact us to view any of our apartment rentals available in Boston by calling (617)782-7500. We look forward to helping you fulfill all of your real estate needs. Superb experience with Modern Real Estate!! My wife and I recently used Modern Real Estate to find our first home together. Josh Blank was amazing. He took the time to learn about what we were looking for and understand what was important to us. He was very patient with as he directed us to numerous houses on line and brought us to over 25 homes in person. He was constantly making sure we knew about all the homes in our price range and area so we could make an informed decision. We never felt pressured or rushed. When we found our dream home Josh turned into a master negotiator helping us to work down the price. There were a few things in the house that needed fixing. Josh was able to negotiate these items into the deal so we didn't need to reach into our pocket. Unquestionably, I highly recommend Modern Real Estate. They gave my wife and me the personal attention and support we needed to make our home buying process seamless and stress free! I have recommended Modern to several people who have had similiar experiences and will continue to do so! My girlfriend and I had an excellent experience with Modern Realty, and especially our agent, Aaron Morey. My gf and I had looked at a number of places with other agents. While the other agents weren't bad, they didn't have the same feel for what we were looking for. We were shown some good places, okay places, and some dumps. Everything that Aaron showed us was superb, and exactly what we were looking for. We found a place that we LOVE (the second place he showed us) and the paperwork just went through. He was helpful and up-front about everything. He told us what we would have to do to secure the place, how much we would have to pay. He was very honest. I would highly recommend working with Aaron!!! The apartment we got was listed with another agency, who wasn't able to rent it. The moment Aaron showed us the place, we assured him this was our dream home and he did what was necessary to make sure we got it. I just can't say enough positive things about our experience with Aaron Morey. 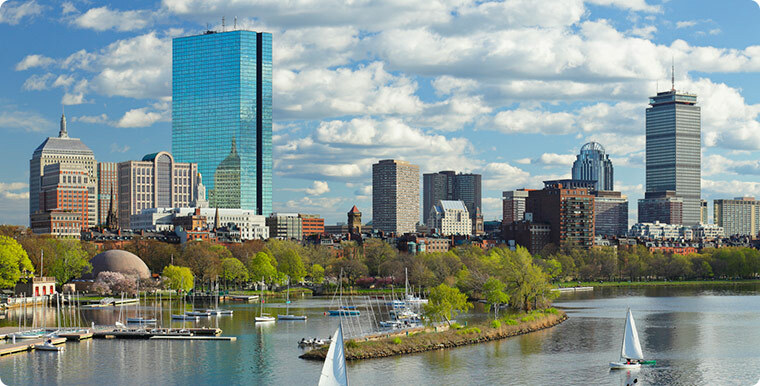 In the "usually" strenuous process to get an apartment in Boston, Joshua Gorelick from Modern real estate made it very simple and successful. I currently go to Berklee and needed a nice two bedroom apartment close by, and Joshua Gorelick managed to get us the perfect place. Josh made sure to find a perfect time that we could all meet and never seemed in a hurry to get things over with. He has managed to work with us on the payment schedule, because it is always difficult to make apartment payments as a struggling musician and student, while keeping everything in a very professional manner. Anyone I have run into that has needed help finding a place, I have sent to him, and Modern Real Estate. Great guy, Great real estate company, and overall a great apartment and experience, I would recommend Josh and this company to anyone needing a real estate company here. I rented an apartment in Brighton last year thru Modern Real Estate and they made that process very easy. It was easy because my agent Chris Correia was helpful, really sincere, honest, trustworthy, and showed us exactly what we wanted while still giving us options in case we wanted to lower our price range or raise it depending on the place we saw. I have been renting apartments in Boston for many years and this was one of the better experiences I have had. I would totally recommend Modern and Chris specifically if you are looking for a place to live and don't want to get dragged through the muddy realtor waters. I had a great experience with Modern Realty. Our agent was Aaron. I contacted him regarding a craigslist ad and we spoke on the phone. He asked me basic questions about the size of the apartment, area and price. When I met with him for the first time he was really well prepared with the list of the apartments and a map showing me where the apartments are located (it was important to me that it will be on the T line). He showed me places in my price range, asking if I could go higher on the price and if so he would have more options, but without pressuring me. He had a lot of patience with us, working with me and my boyfriend and after choosing the apartment he met with us again just so we could measure the place before I moved in. Aaron was a great agent to work with, friendly and professional, I would highly recommend him. I am a Wentworth student, and I was looking for an apartment in Mission Hill for the fall semester. I contacted Josh Gorelick from Modern Realty through a craigslist ad. Josh was very helpful and he put my 4 roommates and me into a 4 bed we really liked for a negotiated price and with a negotiated fee. All around I found Josh to be very helpful, and I would recommend him to anyone looking for an apartment in Boston. He also gave us a good incentive for referring our friends who were looking for apartments. This was by far the best Apartment finding experience of my life! I have many pets and was in an apt that I was uncomfortable living in but Elissa found us the perfect place and we were moving within 2 weeks! The whole office was great! I toured apts with Elissa and she was fantastic. She was friendly, outgoing, and made what I thought would be a painful experience a delight! She found us the place of our dreams! Check them out!!!! I've used them each time I needed a new apartment and they have been great every time. Their agents are so knowledgeable about the area, listen to what YOU want in an apartment, and only show you places that fit what you are looking for. They are always nice and helpful even when I have a lot of questions. I will continue to use Modern Real Estate and definitely recommend them to all of my friends. We toured apartments with Alex Matthews who was great! He got back to us quickly with a list of apartments including everything we requested and nothing that was really over our budget (like a lot of realtors do). Touring with him was the best experience I've had with a realtor. He is easy going and friendly, and he didn't push selling anything. He just gave us the information we needed to know and let us look around. We ended up finding our apartment in the same day. Easiest experience ever. Thanks Alex! BEST Realtor experience I've had in Boston (and I've lived in eight different apartments in the area). Elissa Webb was our realtor, and she was totally friendly, understanding, and fun. We have a dog and a cat, which severely limits our apartment search, since so many landlords won't take pets. However, Elissa showed us a ton of amazing places that really fit our needs, personalities, and budgets. She never tried to oversell us or make us try anything we weren't interested in. GO TO MODERN to find your next apartment. You won't be disappointed! We rented our apartment in Brighton through Alex at Modern Real Estate. We found Alex through a craigslist advertisement. Overall experience was good. Alex was very personable and worked very hard to get us what we were looking for. He was easy to talk to and communicated with us throughout the entire process so that we felt comfortable with the entire transaction. Customer service is still very important to us and we feel like we received it. Ask for Alex M. if you can.